Over twenty years ago, the Missouri Historical Review said of Mrs. May Kennedy McCord, "... by recording notes about the superstitions, ballads, and history of the region, (she) is doing much to preserve a rich heritage... that might otherwise be lost." Since that was written, Mrs. McCord has continued as a gifted speaker, ballad singer, writer and radio personality who is considered to be the outstanding authority on Ozark folklore. In recognition of her untiring efforts in preserving the heritage of the Ozarks, the Society elected her to Honorary Membership. 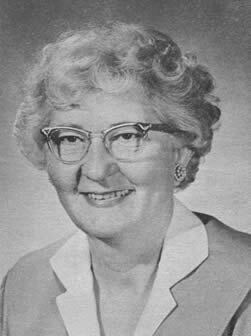 was named Missouri's State Mother of 1950 by the Golden Rule Foundation. She was forty when a number of her articles and stories began to appear in national magazines. "Partin' in Smoky Holler", published in the American Mercury, became required reading for literature classes at Columbia University. Her lectures and folk music have taken her to most of the large cities in the United States, and she has recorded for the Library of Congress 100 ballads handed down from the Elizabethan era. A long-time member of Grace Methodist Church in Springfield, she has also been active in the Women's Christian Temperance Union, the Missouri Writers Guild, Ozark Press Association, American Writers Guild, Missouri Federation of Women's Clubs, and has served on the board of the National Folk Festival. A biographical sketch of Mrs. McCord appears in Who's Who in America. Mrs. Lucile Morris Upton's election to Honorary Membership was in recognition of the outstanding contribution she has made and is making to the preservation of our local history. In addition to her book, Bald Knobbers, which was published in 1939, Mrs. Upton during her years as a newspaperwoman has written hundreds of articles dealing with the history of this region. Her writings have been directly responsible for creating a tremendous amount of interest in our area's past. She was born at Dadeville, Mo., where her father, Albert G. Morris, was a hardware merchant. After attending Drury and Southwest Missouri State colleges in Springfield, she taught in the Dadeville Elementary School, Everton High School, and the Roswell, N. Mex., Public School. reporter on The Leader, and in 1927 went to The News. She has been with the Springfield newspapers most of the time since then, retiring Jan. 1, 1964. 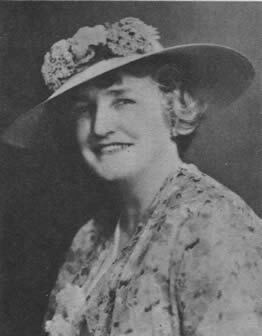 In 1936 she married Eugene V. Upton who was a reporter in the Greene County circuit court and also a member of the Greene County Bar Association. Her two step-children are Joseph B. Upton, a member of the Missouri Highway Patrol, Kirkwood, and Miss Rosemary Upton, an employee of Shell Oil Co. in Houston, Texas. A brother of Mrs. Upton is M. E. Morris, now Mo. Director of Revenue and Democratic candidate for State Treasurer; another brother, A. George Morris, is superintendent of fish hatcheries for the Mo. Conservation Commission. Mrs. Upton's interest in the White River country dates back to college days when she and her brothers spent their summers at a cottage built by their uncle, George W. Wilson, on Presbyterian Hill at Hollister. Her first newspaper article appeared in the old Kansas City Post and listed the names of cottages there. Also at that time, she began collecting material for her book on the Bald Knobbers. Mrs. Upton serves as secretary of the Board of Trustees of the First Congregational Church in Springfield. She is a past president of the Missouri Writers Guild and, in addition to being a charter member of our Society, is a member of several regional historical societies, and is a life member of the Missouri State Historical Society. Since her retirement, she continues "The Good Old Days" column which appears in the Springfield Sunday News & Leader. Her future plans include more historical writing which will be regional, although she has not yet definitely settled on the subject.